We've been receiving emails from Galaxy S3 owners complaining about their data service. Some said they can no longer browse the internet using mobile data while others said their connection was often interrupted. There's no easy way to address this problem but to go through troubleshooting procedures. The thing is it could be a network issue, a temporary phone problem, or incorrect APN settings. This post will walk you through troubleshooting the problem to know what really caused it. Of course, the easiest way to deal with it is to bring the phone to a technician but it's not really the most convenient option for people who may be miles away from the shop. So, if you have a Galaxy S3 with mobile data problem, try the procedures below. But before anything else, here are some of the emails we received related to this problem. Problem 1: Hi guys. I've been following your blog for months now and I'm thankful you never stop helping us Android users. My problem is with my Samsung Galaxy S3. Recently, I seem not to be able to get on the internet while using mobile data. I'm not sure what happened or what caused this but I hope you have any idea how to fix this. Problem 2: Hello. My name is Micah and my Galaxy S3 cannot connect to the internet. I have an unlimited data subscription but I can't receive my emails, browse the internet and watch videos. Help me please. Problem 3: Hi. Are you guys familiar with mobile data problem with the Galaxy S3? I have that problem now and I just don't have any idea what to do to fix it. I hope you can share your knowledge with me. Thanks. 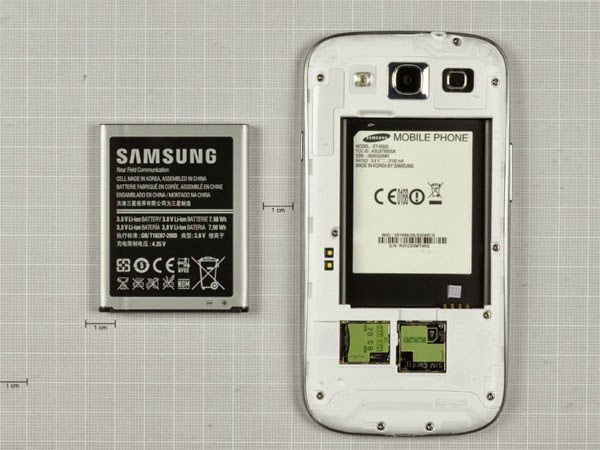 While the phone is on, open the back panel and remove the battery. Without the battery, press and hold the power key for 30 seconds. Place the battery back in and the back cover. Power the device on and try to connect to the internet using Mobile Data. If the problem persists, continue to the next step. Step 2: Check account and APN with service provider. Before doing further troubleshooting, I suggest you call your service provider first to three things; the first one is to inquire about the status of your account. This is extremely important for people whose plans aren't unlimited. Assuming your account is in good standing, the second important thing you should inquire about is the service coverage in the area you're currently in. Outages, upgrades and general service interruptions happen and if you're unlucky enough to be in that area, then there's nothing you can do about it but wait until the problem is resolved. Lastly, with your account in good standing and service coverage in your area good, ask for correct APN settings for the Samsung Galaxy S3. Service providers change their APNs every now and then and when they do, you should also change settings in your phone. Ask the representative to provide you the correct APN and have him/her walk you through editing the APN in your phone. Step 3: Double-check Settings in your Phone. Make sure Airplane Mode is disabled and mobile data enabled. Now go to Settings > Wireless and network > Data usage. Make sure the option Set mobile data limit is NOT checked. If you, however, have chosen to enable this option, then make sure you haven't gone past the limit already because maybe that's the real cause of the problem. In case you have Roaming enabled, make sure it was set to allow mobile data usage. Go to Settings > Wireless and network > More settings > Mobile networks > Global Data Roaming Access > select appropriate option. Step 4: Have the phone checked. Lastly, if all else fails, you need to have the phone checked as soon as possible so you won't have to pay for the service you're not using. Better yet, bring the phone to your service provider and have their technicians take a look at it. If the problem couldn't be resolved by their technicians, request a replacement unit. Before I forget, I strongly suggest you backup all your data first and perform factory reset before bringing the phone in for checkup. If the problem was caused by a simple software glitch, it should be fixed. But the most important thing why I want you to do the master reset is that all your personal and sensitive information will be deleted before a third-party will inspect your device. I know you were expecting a fix to this problem and I'm sorry to disappoint you. The thing is, the best thing we could do is to guide you what to do to troubleshoot the problem. But I hope I have somehow helped you. If you have problems with your phone, feel free to email me at harold@sebertech.com. I think I may have restricted background data while mobile data was off. So the question becomes did I enable a one way switch on my phone or was there a tandem switch at my provider?